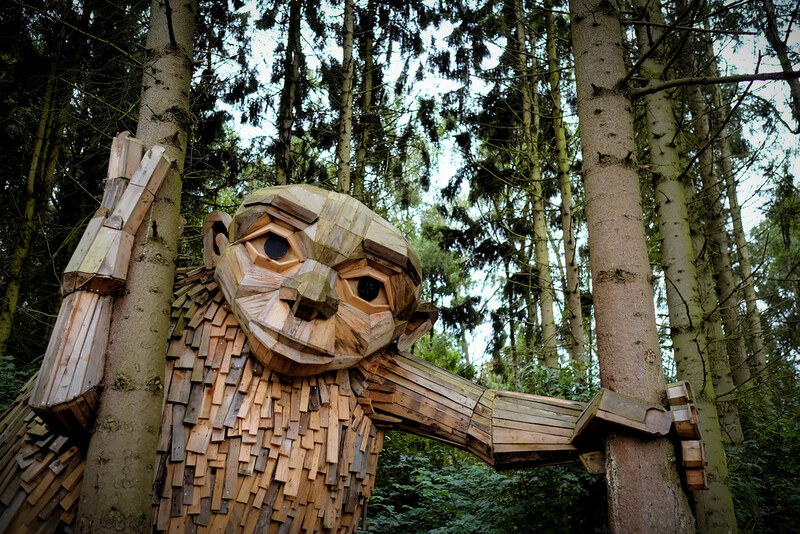 Danish sculptor Thomas Dambo makes use of what he finds in "skips and rubbish tips" (dumpsters) to make gigantic trolls which he locates in woods and fields. You will notice that he uses a modified bicycle when collecting these materials. The results may be seen here. I love these whimsical figures but then who doesn't love a troll (except on blogs).